The healthcare sector has unique and complex demands, and specialist medical accounting expertise is critical to effective advice. Our specialist team provide a wide range of accounting services to the Healthcare industry ranging from GP partnerships to consultants, locums, salaried GP’s and hospital doctors. Our medical accountants will ensure you are working from the appropriate tax code and are operating from the most appropriate legal entity. While it is commonplace for healthcare professionals to pay excessive tax or NI, it is clearly better to ensure the initial submission is accurate, rather than rely on reclaiming overpayments. By helping your medical practice to identify inefficiencies we can offer improved cash generation, reduced tax burdens and advice on profit extraction. Through accurate forecasting, tax payments and estimates of superannuation we can help you avoid falling or fluctuating profits, unexpected tax bills, and shortfalls while waiting on tax relief. Ensuring compliance to the legislative changes within the industry is paramount and as part of our medical accounting service we deal with compliance, so you don’t have to. Our team will adopt tax strategies to minimise your liabilities depending on your circumstance and act on your behalf in any dealings with HMRC. A Medical Practice is one of the sectors identified by HMRC as a high-risk area and therefore frequently comes under scrutiny of tax enquiries. As part of our service you may wish to consider our Fee Protection Service. Not all healthcare services are exempt from VAT and our specialist accountants can help advise on those services which are subject to VAT. We would advise that you periodically review the level of these services. If you are operating a Medical Practice each of your employees may be remunerated in different ways, bringing with it a multitude of accounting complexities – an area our medical accounting team have vast experience in managing. Locum’s may be salaried in several different ways and we can help advise on the best form of remuneration for your situation. As a healthcare professional you are likely to be part of the NHS Superannuation Scheme. Due to limited information from the NHS many professionals may have difficulty in fully understanding pension entitlements, superannuation deductions, and what they will receive when they finally retire. We can correspond with the NHS pension authority on your behalf to find out your anticipated future pension and check how close you are to the lifetime limit. If your lifetime pension savings exceed the limit, then you will be liable for an additional tax rate of 25%. By leaving this calculation too late you will limit your options and have no choice but to pay the additional tax. Modern dentistry is as much a business as it is a profession and our specialist dental accounting team has a wealth of experience working with hygienists, locums, associates and principals, and can guide you through the complexities of running a dental business at every stage of your career. Our highly-trained advisers have the knowledge and expertise to cover many aspects of accounting, taxation, financing and business advice in the dental sector to help you to run your practice more efficiently. We can deal with accountancy and taxation compliance and help with your strategy for the future. With the dental sector facing issues surrounding pay, personal tax, pensions, staffing costs, and business structure, we are positioned to provide proactive accounting and financial advice to each of our dental clients. We can help you retain greater fee income and protect you against potential tax pitfalls. Whether you are a practitioner starting out, well-established, or selling up and planning for retirement, our dental accountants can advise on how to increase your profitability and ensure you are compliant with changing regulations along the way. We also have extensive experience working with care homes, helping owners maximise their potential and reach their targets while staying on top of legislative changes and the general running of the business. Our experienced team will also assist on any aspect of buying or selling a care home business. The care home industry is heavily regulated and, in addition to providing annual accountancy and tax compliance assistance, we have a wealth of experience in business planning, refinancing, sales and acquisitions, staffing and payroll issues. 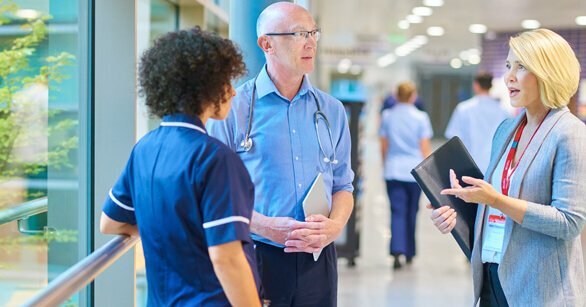 For a range of clients in the healthcare sector, we can help in specialist areas such as funding, business structuring and strategy, payroll and specialist tax advice including capital allowances. For more information about our services in the healthcare sector, contact Andrew Kershaw on 023 8046 1245. 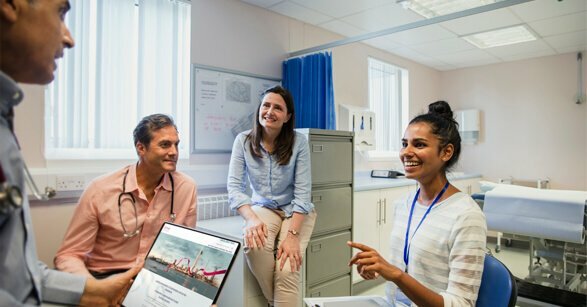 If you operate in the healthcare sector, arrange a FREE consultation with one of our specialist medical accounting team members to see what we can do for your business.